It’s that time of year again. Pumpkin spice everything. Sweater weather. Apple cider. The trees transforming into the most magnificent hues all around you. 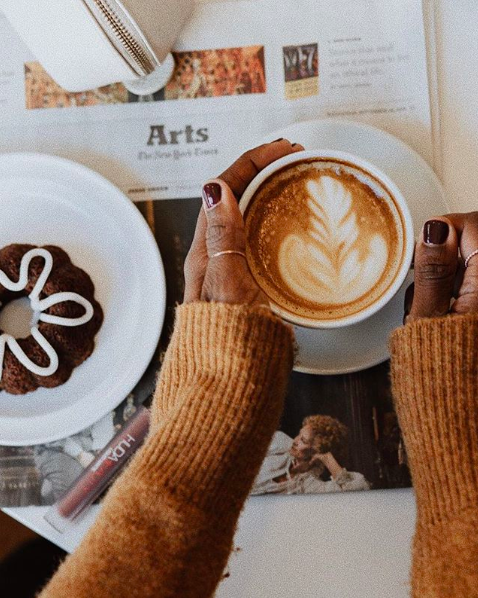 If you ask us, fall is the season of contentment and coziness. This season also marks the final chapter of the year. It’s the last 90 days, the last chance, for us to accomplish what we set out to do at the beginning of this year. 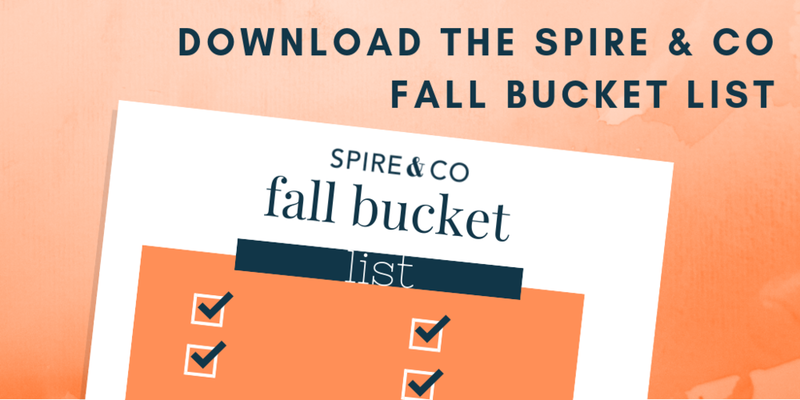 With that in mind, we came up with the Spire & Co Ultimate Fall Bucket List (check out our summer bucket list here) as a way to celebrate all the contentment and coziness this season cultivates and pair it with the inspiration to end this year feeling proud and productive. As the leaves change and the year begins to come to a close, it’s the perfect time to reflect on how you, too, have transformed this year. While it’s easy to think about all the things we did not accomplish, put that to the side for a moment and embrace the ways in which you have improved. Take note of the lessons you’ve learned and the strides you’ve made. There’s an unparalleled feeling of pride when you make a meal from scratch. And using a cookbook, rather than a recipe from the internet, brings you back to the simpler times of the years past. Plus, there’s just something fun about opening a cookbook and selecting recipes to make into realities. Whether it’s a salad full of fall’s best harvest, a roasted chicken, or a squash casserole, crack open that cookbook and find a meal that speaks to you. And then, sit around the table to dig in with those you love. The question is, if one goes to an apple orchard and doesn’t Instagram it, did it really happen? Just kidding. 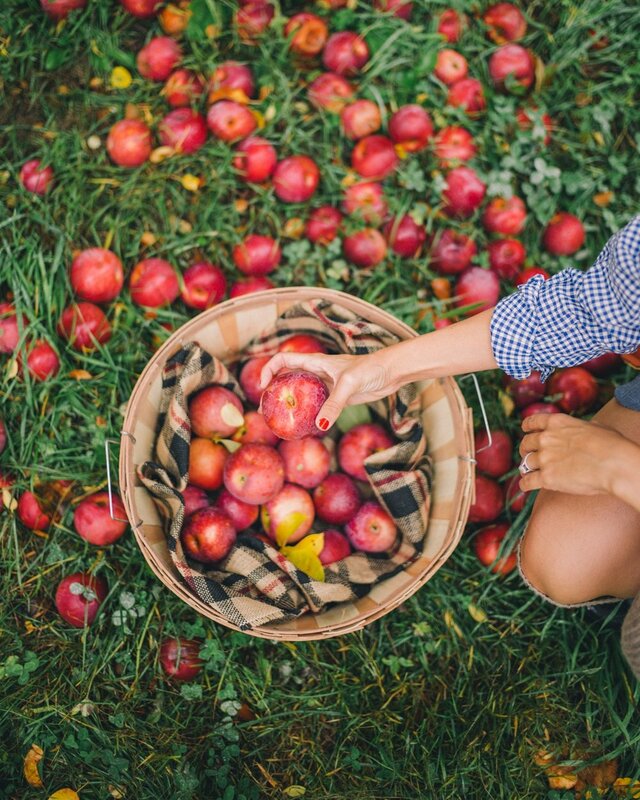 But really, what defines autumn more than a good ol’ trip to the apple orchard? Bring your bushel home and make some delicious treats for yourself and perhaps surprise your coworkers or neighbors with some as well. Need to rise and shine? Try opening up your windows. The season’s crisp air is sure to jolt your energy and make your living space feel extra in-tune with the season. Plus, we may as well enjoy it before we have to close our windows for the frigid winter, right? Whether it’s to a neighboring town or a few hours away, this is the perfect time of year to hit the road. Take in the fall foliage and explore a place you’ve yet to see. Not able to rent a car? Consider pooling your resources with your friends to take an uber to a nearby town, rent bicycles for a more active road trip, or see if you have an option to take a train. Whatever form of transportation, the fall is the perfect time for a little day trip. Thanksgiving may be the holiday of gratitude, but why should it last for just one day? Try keeping a gratitude journal and jot down a few things that you’re grateful for each day. Pro tip: while many advocate for starting or ending your day with a gratitude journal, it also makes for a great mid-day practice if you’re feeling anxious, overwhelmed, or just in need of a little pick-me-up. Pumpkin cookies. Apple cider donuts. A classic apple pie. The options are endless! Find something sweet that is perfect for this time of year, preheat your oven, and bake away. And maybe make a little extra to give as a token of gratitude to someone you love. Did you start out the year with big plans to update your living space? Whether you’re in an itty bitty apartment, a crowded dorm room, or a more spacious home, we all have that spot that we’d like to upgrade. Pick that spot or that room in your living space and make some moves to update it to meet your interior goals. This practice doesn’t need to break the bank, either. Check out online resellers like Craigslist or Facebook Marketplace and local salvage yards. With the right attitude and some paint, something old can be brand new! The midterm elections are coming up! Take the time to educate yourself on the candidates, make sure you’re registered to vote, embrace your civic duty and head to the polls. Not sure if you’re registered? Head to vote.org. Would it be a fall bucket list if we didn’t include a pumpkin patch? If you’re not sure where to find pumpkin patches near you, click here for the ultimate pumpkin patch directory. Nothing quite compares to a cider donut. 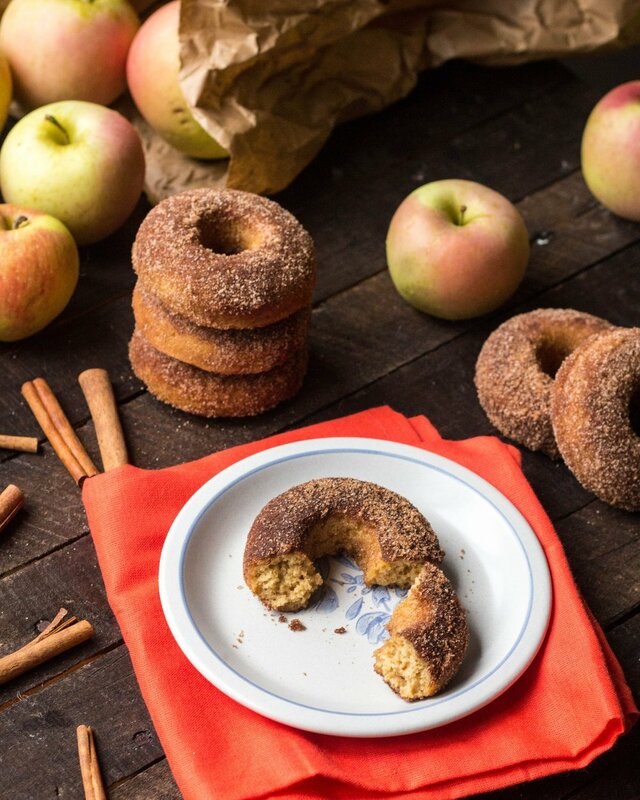 If you’d like to make them yourself, check out this recipe for Vermont Apple Cider Doughnuts or, if you’re looking for something gluten-free and vegan, check out this recipe for Baked Apple Cider Donuts. While spring cleaning usually gets all the credit, the fall is the perfect time of year to clean out your belongings. As you reflect on your year, why not also reflect on what you no longer need? From your kitchen supplies to your shoes, comb through everything and donate the things that you no longer need. This time of year is an especially good time of year to practice a little gratitude and a lot of giving. Cranberries reach their peak color this time of year and are harvested, perfect for all our Thanksgiving cranberry sauce needs. This makes it the ideal time of year to head to a cranberry bog and experience a cranberry farm for yourself. Many offer tours and even allow you to put on some waders and join in on the harvest. Sounds like the perfect opportunity to try out a cranberry sauce recipe, right? As the weather gets chillier and we begin to spend more time indoors, why not try out a new cozy hobby? From knitting to candle making and beyond, if there’s a skill you’ve been wanting to foster, there’s no time like the present. Would it be fall without a football tailgate? If football isn’t your thing, there’s still plenty of sports to check out this time of year. From crew races to sailing regattas to soccer games, there’s something for everyone. Celebrate the beauty of nature changing all around you and get active at the same time. Head to a national park or a local path, whatever suits your fancy. Haunted houses. Hayrides. Psychics. Historically spooky towns. Need we say more? The autumn harvest is filled with delicious fruits, vegetables, and more, perfect for a nice seasonal meal. Support your local farmers and indulge in the rich, delicious foods. You can find your local farmer’s market here. Some set out with a goal of how many books they wish to read in a year. Others have an endless wishlist of books they hope they’ll get to eventually. No matter where you fall on the spectrum, select a book you’ve been meaning to finish and pencil in some time to curl up and read. It is sweater weather, after all. Find something cozy that you can add to your capsule wardrobe. While we munch on pumpkin pie, turkey, and apple cider doughnuts all season long, take the time to organize a food drive to feed those who need it. It doesn’t have to be massive to be meaningful. Next time you have guests over, ask them to bring something non-perishable, or perhaps organize one in your workplace. 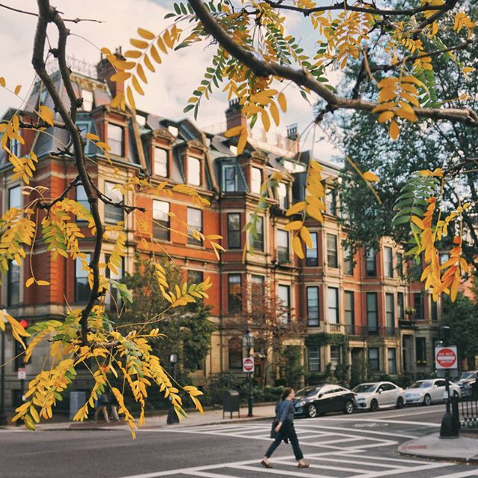 We know, Instagramming fall foliage is a must. But try taking a stroll without posting a picture, texting, or scrolling. Admire the beauty around you and exhale, because we all need to feel disconnected every now and then. Are there items left on your 2018 goals list? See how you can use these last 90 days to move the needle forward on your personal growth. While you may not be able to complete it all (and that’s perfectly fine! Nobody is perfect! ), you can make significant strides in 90 days that will set the groundwork for the year to come. 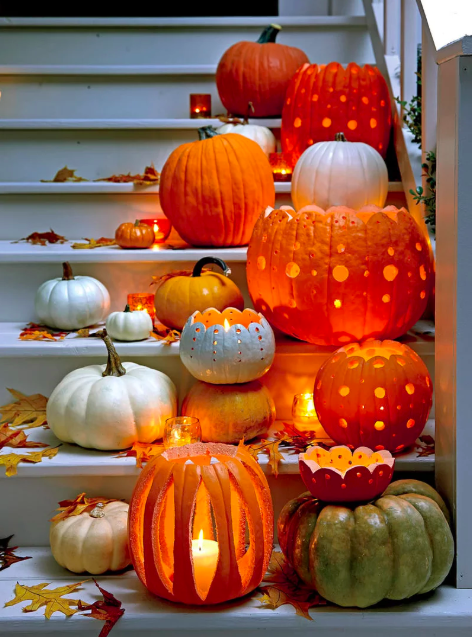 Pumpkins, gourds, a fall wreath, a pumpkin spice candle, whatever inspires you, find a place for it in your home. A little fall decor has a way of getting you in the spirit of the season. From apple cider to pumpkin pie sangria, there’s a fall drink for everyone. Check out these 30 fall cocktails and these 18 non-alcoholic fall drinks. Cozy vibes for the cozy season. Bring together your version of Monica, Chandler, Rachel, Ross, Phoebe, and Joey for your own friendsgiving. If you’re not into the idea of another turkey dinner, try a friendsgiving brunch or just do desserts. 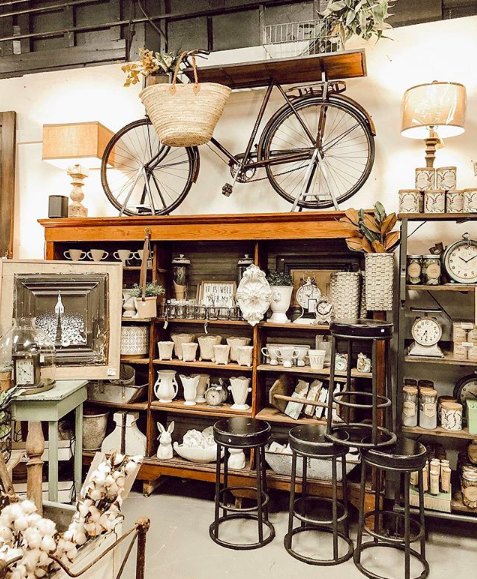 There’s something about autumn that inspires antiquing. 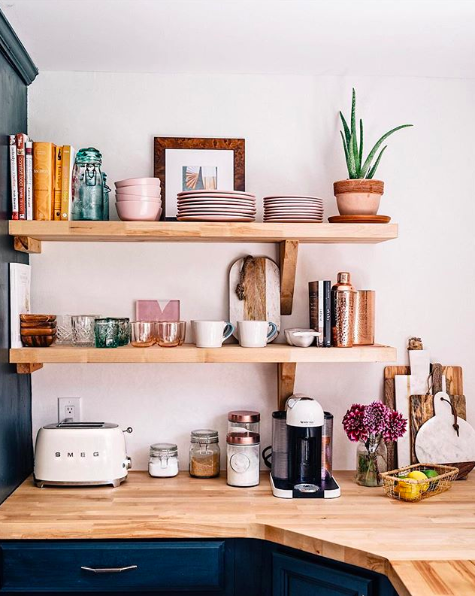 Go explore your local shops for vintage dishes you could add to your kitchen or perhaps a cute lamp to add to your workspace. Would it be pumpkin season without carving one? Pro tip: after you carve your pumpkin, keep the pumpkin seeds and toast them for the perfect fall snack. Click here for an easy toasted pumpkin seed recipe. We’ve talked about capsule wardrobes a bunch (see here for an intro into capsule wardrobes and here for defining your style through a capsule wardrobe). This is the perfect time of year to define your fall capsule wardrobe, simplify your closet, and put away your lighter summer clothes. What’s a place that’s been on your bucket list? Use this time of year to head there for a weekend trip! Some places require longer trips, but others, especially cities and sights closer to home, can be experienced in 48 hours. Find one that speaks to you, set your itinerary, and take a little weekend getaway. Mums. Celosias. Purple fountain grass. Dianthus. There’s so many beautiful fall flowers! Make an arrangement for your table or pot some plants by your window sill or on your fire escape for some added seasonal beauty to your living space. Fall is total soup weather. Remember that farmer’s market mention? 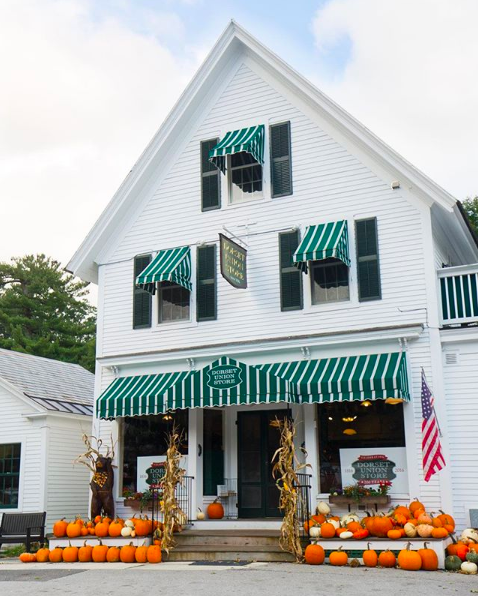 Double up and check off two things on our Fall Bucket List by collecting local ingredients for delicious homemade soup. Whether you’re a chili kind of girl or all about that tomato soup, fall is the perfect time of year to test out your soup skills.